This week, we are meeting for our monthly bookclub. 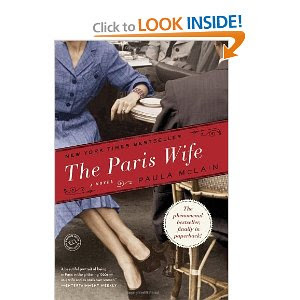 I really enjoyed reading our pick, The Paris Wife, by Paula McLain. It's maybe best categorized as historical fiction- drawing on real people to create a fictional recreation of what might have happened. It tells the tale of Ernest Hemingway from the perspective of his first wife, the Paris wife, in the early days of his struggle to become a writer. I'd recommend this book, and I'd love to hear from anyone who has read it! I'll definitely add this into my reading list. I love reading and am always looking for new books!